Melek is 5 and goes to school in St Albans. She was born with an undiagnosed condition which has left her severely disabled both physically and mentally. At school Melek uses a wheelchair with a tray attached, but was unwittingly hurting herself by getting her arm trapped between the armrest of the wheelchair and the tray. Our team produced a new tray design which prevented Melek’s arm from getting trapped. It had the added advantage of being made from a more practical material than the original. 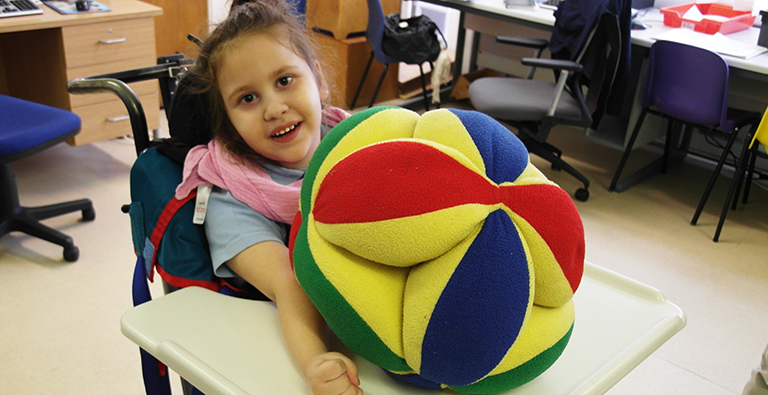 Melek’s teachers and physiotherapist are thrilled with the outcome.